← Brewing Beer at Home? Here is a quick little guide on some of the options you have to be able to enjoy that draft beer at home! Keg coolers, also called kegerators or beer dispensers, are used for dispensing beer on tap. In order to experience the full flavor of beer, it is crucial that it be served at the right temperature. If beer is too cold, it numbs the taste buds, which makes it difficult to detect some of the more subtle flavors. The temperature of the beer also has an effect on the levels of carbonation, so beer too cold or too warm might not have the smoothness or the tingle of carbon dioxide that you desire. If you home brew or enjoy beer on tap, then a keg cooler is just the right thing to make sure that every beer you serve is fully appreciated. If you are building a home bar, be sure to budget for the type of keg cooler that will suite your style. Kegerators range in price from $350 for something simple with one tap, to $2600 or more for commercial units. Depending on your entertainment needs, a commercial quality kegerator might make sense for you. High quality Commercial Keg Coolers help keep the faucet cold in order to reduce beer foam. A lot of home draft beer drinkers wonder why the first glass of beer always foams. 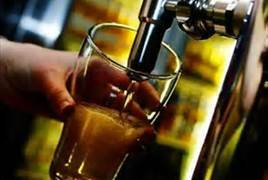 Any time you change the temperature of beer dramatically upon dispensing, you run the risk of causing beer foam. Since beer tower faucets are sitting in a warm room, they are warmer than the beer. When the cold beer hits the warm faucet, the sudden rise in beer temperature causes CO2 to escape, resulting in foam. Once enough beer has passed through the faucet to cool it down, the beer will pour normal again. If you wait a little while before pouring another beer (30 minutes or so), the faucet will warm up again and the process will repeat. Pouring beer into a frozen glass also causes additional foaming because the glass is a lot colder than the beer. Keeping the faucet the same temperature as the beer is the best way to eliminate foaming. 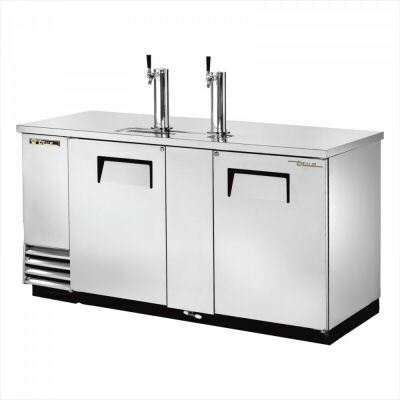 High quality Commercial Kegerators often include a fan and hose to direct cold air into the beer tower to keep the faucet cold, which helps reduce beer foam. The best way to keep beer faucets cold is with a beer line chiller. A line chiller is a refrigerator that chills glycol (anti-freeze) and then circulates the ice cold glycol through lines, into the beer tower and around the rear shank of the faucet. Line chillers are typically only used in commercial bars and restaurants where the kegs are stored at a distance from the beer towers. High quality Commercial Kegerators cool beer faster, run more efficiently, and maintain a more consistent temperature. Most keg units for the home are cold wall refrigerated with static condensers, which means there is no fan to assist in the heat exchange. 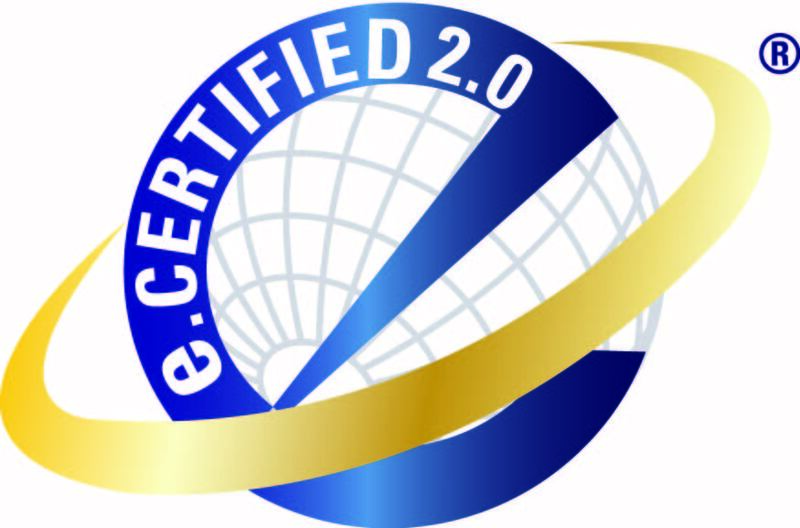 This reduces the refrigeration capacity and makes it more difficult to maintain a consistent temperature. 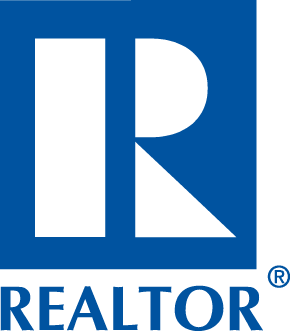 In a warm environment, like a garage, home market kegerators will have increased wear and tear on the compressor because it has to run more frequently to keep the refrigerator cold. In addition, the cold wall refrigeration system can cause many home market kegerators to develop frost on the walls. These kegerators will need to be defrosted on occasion, which could be a challenge depending on where the unit is installed. High quality commercial keg coolers are chilled using fans in a forced air refrigeration system. 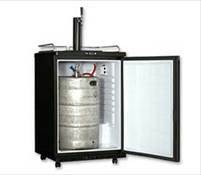 Commercial keg coolers have a larger refrigeration capacity, which allows them to cool beer more quickly, maintain a consistent temperature in warmer environments or under heavy use, and run more efficiently. Note, however, that commercial kegerators will run louder than the home keg coolers because of the fans involved.